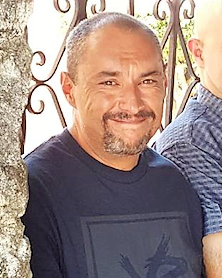 Luis Sierra, 42, of Baytown, passed away Thursday, July 19, 2018, at the San Jacinto Methodist Hospital. Luis was born February 20, 1976 in Riverside, California, to parents; Antonio and Hermila Martinez Sierra, and has been a resident of Baytown for 21 years. He was a graduate of Polytechnic High School class of 1994 and member of Our Lady of Guadalupe Catholic Church. 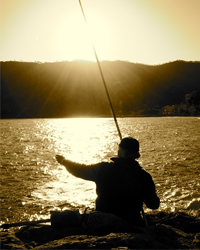 He also enjoyed fishing, playing basketball with his father, and especially spending time with his family. He loved calling his sisters early in the morning to wish them a good day at work. He loved his nieces and nephews, but most of all he loved his parents. They were the one meaning of life to him. Mr. Sierra was preceded in death by grandparents: Jose Martinez and Maria Torres. He is survived by his parents: Antonio and Hermila Martinez Sierra, sisters: Gloria Sierra and Veronica Sierra, grandmother: Esperanza Martinez, numerous nieces, a nephew, relatives, and friends. The family will receive friends from 5 p.m. to 8 p.m. with rosary services at 7 p.m., Tuesday, at the Crespo and Jirrels Funeral Home Chapel. Mass of Christian Burial will be held at 10:30 a.m., Wednesday, July 25, 2018, at the Our Lady of Guadalupe Catholic Church with interment following at Memory Gardens Cemetery in Baytown.